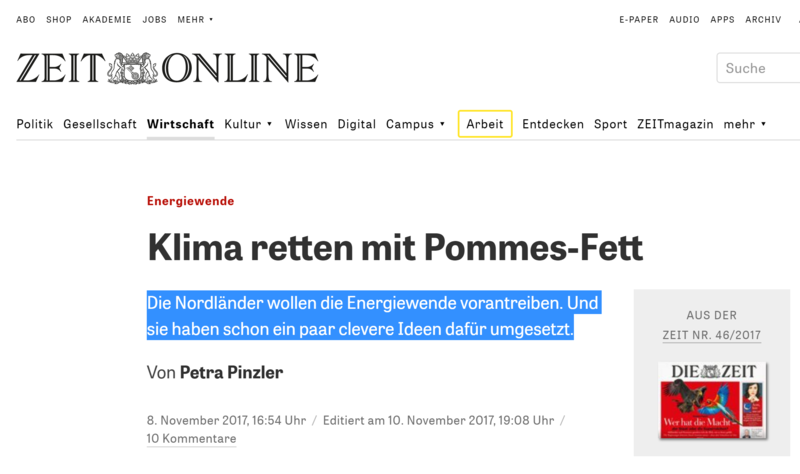 Die Zeit lists in their article some of the clever ideas that the Nordic countries have turned into reality in order to push the energy transition. The German magazine Die Zeit published an article written by Petra Pinzler on Nordic climate solutions in their issue No 46 on 8 November 2017. It lists some of the clever ideas that the Nordic countries have turned into reality in order to push the energy transition.